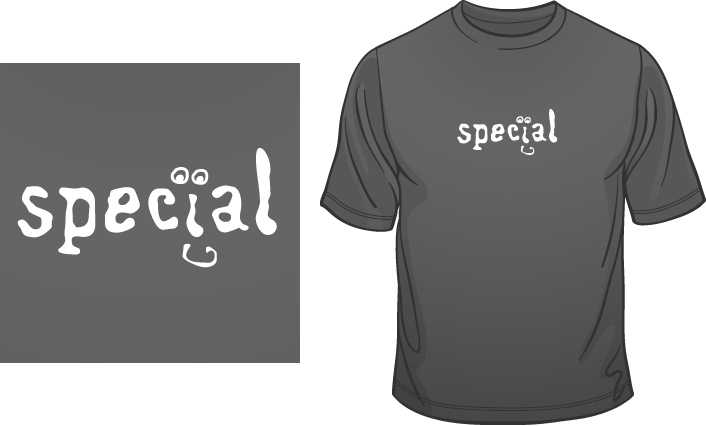 The perfect t-shirt for anyone who is a bit… “special”! C’mon… you know who you are!! You know when you say something and your mates just look at you and smile, as if to say, “Have you taken your medication today yet?!”? Well, that’s because they know you’re a couple of cans short of a six-pack. You’re just a bit “Special”. Used Violet high quality ladies tee shirt (we don't do cheap t-shirts!) made from 100% pre-shrunk ring-spun cotton, with white vinyl printed design. Medium fit.